HowSound is the bi-weekly podcast on radio storytelling produced by Rob Rosenthal for the Public Radio Exchange. Each episode highlights the work of producers such as Roman Mars, Joe Richman, Hillary Frank, and Kelly McEvers. 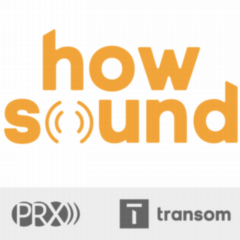 HowSound also features work from new producers including students from the Transom Story Workshop where Rob is the lead instructor. Rob launched and directed the radio program at the Salt Institute for Documentary Studies for eleven years. He's taught many audio workshops and classes. Rob also produces documentaries, features, multi-media, audio tours, sound art, podcasts, commercials, and public service announcements as a freelancer. #43 - What If There Was No Destiny? For years, Jen Nathan has felt guilty about a story she produced. Only now is she able to speak publicly. This American Life producer Brian Reed employs, with great effect, the old writing maxim "show, don't tell" in his radio stories. Robert Krulwich on drama, narrative voice, and the day gorilla cages changed forever. Whitney Jones tells a powerful story about leaving the Mormon Church. Stretch your ears on the latest HowSound. We feature "Chorus of Refuge" by Ann Heppermann, Kara Oehler, and Jason Cady. Creative inspiration, podcasting, and motherhood with Hillary Frank. Producer Joe Richman understands the power and pleasure of storytelling with archive tape. First person essay meets sound art in a story about seizures. In 2005, Richard Paul produced a story for Studio 360 called “Fighting With My Dad.” Richard hasn’t talked to his dad since.